For those working in history education, the difficulties of bringing history at the foreground of public debate are not new. History does not seem to be a priority for wider portions of society, and therefore, those who work in the field are forced to be more fervent and passionate to advocate for it. This is the story of one of those advocators, whose answer to inertia is never lethargy but rather action. Nayla Hamadeh, from the Lebanese Association for History (LAH), shares with us their efforts to promote a significant reform in Lebanese history education, which first step is to train… the trainers. How to bring up history at the forefront of educational concerns and reforms? This is the question that the Lebanese Association for History (LAH) has being trying to answer since 2013. Founded by a group of educators, history teachers, and activists, LAH advocates for historical scientific enquiry, continuous learning, and critical thinking. Within these aims, the professional development of Lebanese historians has been among their main goals, especially due to the curricular deadlock that came during the post war period. Nayla Khodr Hamadeh is the current president of the Lebanese Association for History. Involved long before in professional development, even as a trainer herself at the International College (IC) in Beirut, Nayla has explored Lebanese history education from within, achieving great understanding of its most urgent problems and concerns. “After several trials in the post war period, successive governments have failed to issue a new curriculum intended to ‘unify the Lebanese’ around a common narrative. This has resulted in the marginalization of history as a subject. History teachers were hardly receiving any training in the last three decades”, Nayla says. 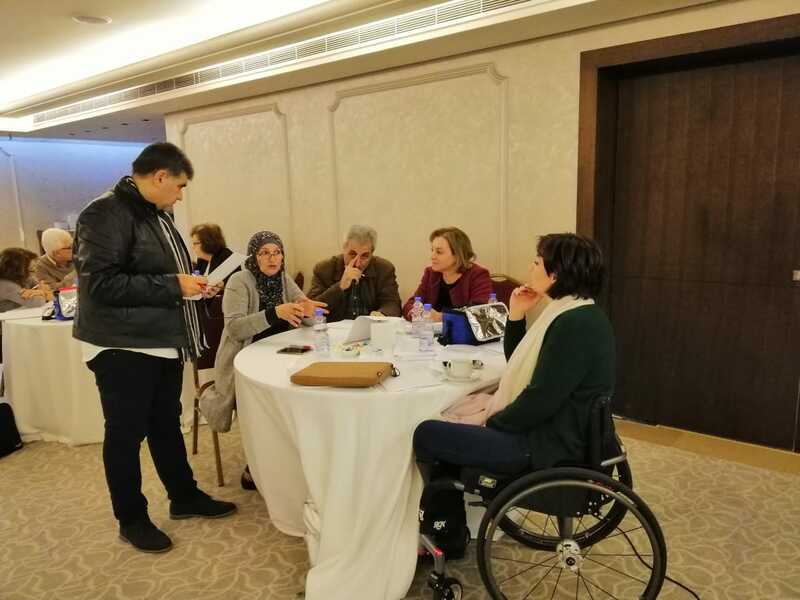 Due to this grim panorama, where the needs for professional development of public schools’ history teachers were almost unknown, in 2018 LAH started working with the Center for Educational Research and Development (CERD), the body in charge of public training in Lebanon. “In an effort to start preparing the grounds for a new curriculum, the CERD had already appointed a number of history teachers to act as trainers of history teachers”, Nayla said, describing the emergence of an opportunity to get involved. In this scenario, LAH proposed an innovative programme aimed at providing training to their team of trainers, pointing at the need of well-prepared professionals for the new curriculum to be issued. “To map their needs, we conducted an online survey to which 116 teachers responded. The majority of public schools’ teachers indicated that they had not received any form of training and that they are interested in introducing new ways to their teaching”, Nayla describes. With this imperative task in mind, LAH and CERD started to work together in a training programme involving three workshops and mentoring sessions. The activities aimed at addressing pedagogy strategies, curriculum design, needs assessment and building learning communities. “It culminates in the design of a training program for all teachers”, Nayla says, pointing at the final goal of this initiative, which is to form “a team of trainers equipped with skills and knowledge needed to design and manage an impactful training program for all teachers leading to change in history classrooms. This, of course, is a long process. LAH’s initiative aims at starting this process”. The first phase of this joined effort will end up in January 2019, to then open up the second phase, where the ‘trainees’ will implement their own training sessions. “The challenge is to ensure that the teachers start implementing this in their classrooms”, Nayla said, describing the difficulties of intervening working cultures that are resistant to change. Finally, Nayla explained that the work developed by LAH is an ongoing and permanently open process, because the main goal it’s not only introduce learning strategies, but also “build historical thinking, openness and respect of others”.